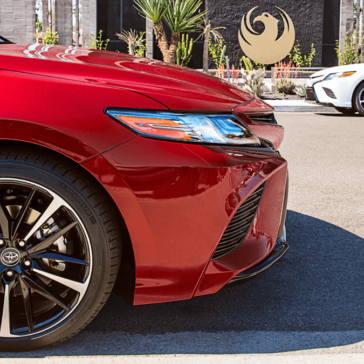 Year after year, Precision guests make the Camry one of our top-sellers. 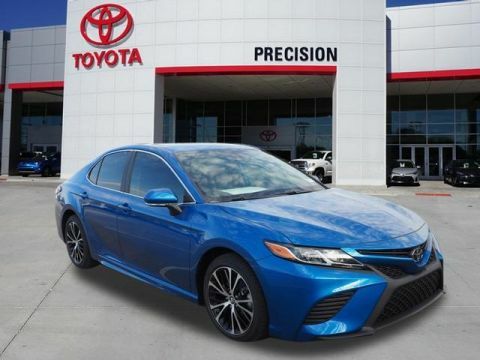 Camry has always been synonymous with safety and comfort. 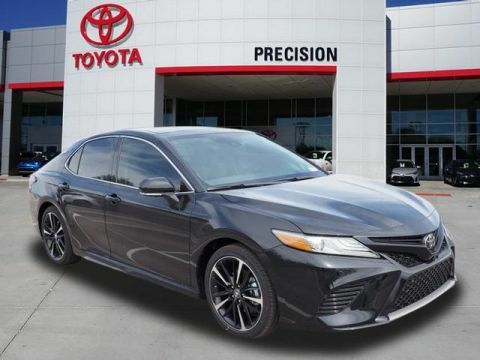 For 2019, there’s a new reason to buy: assertive style. 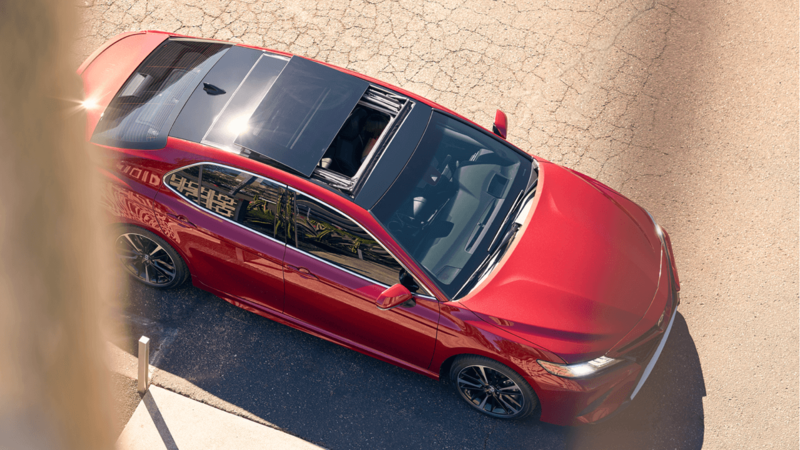 With an industry-leading suite of standard safety and performance features, the 2019 Camry demands respect at every corner. 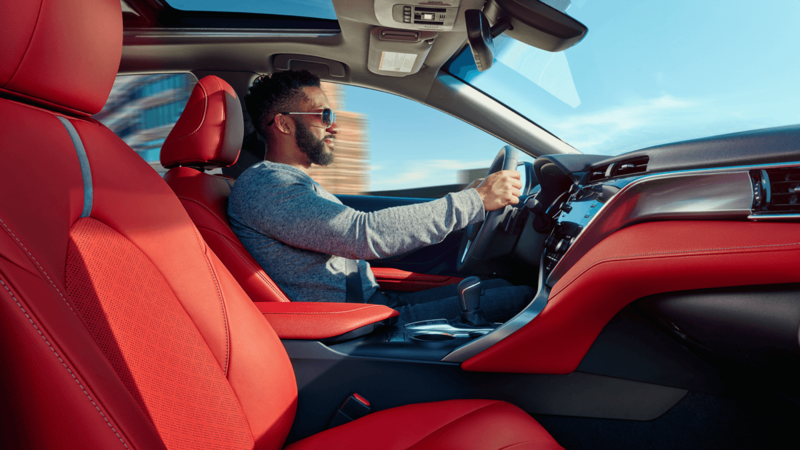 Book a test drive today and you’ll see what we mean. 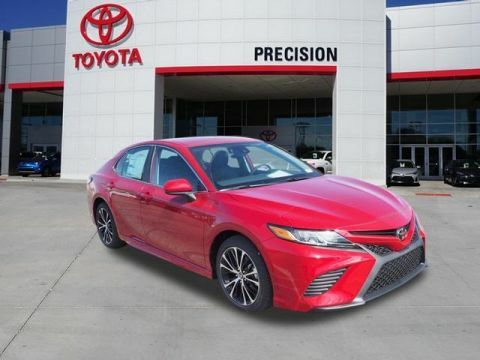 Learn more about Camry in these quick videos. 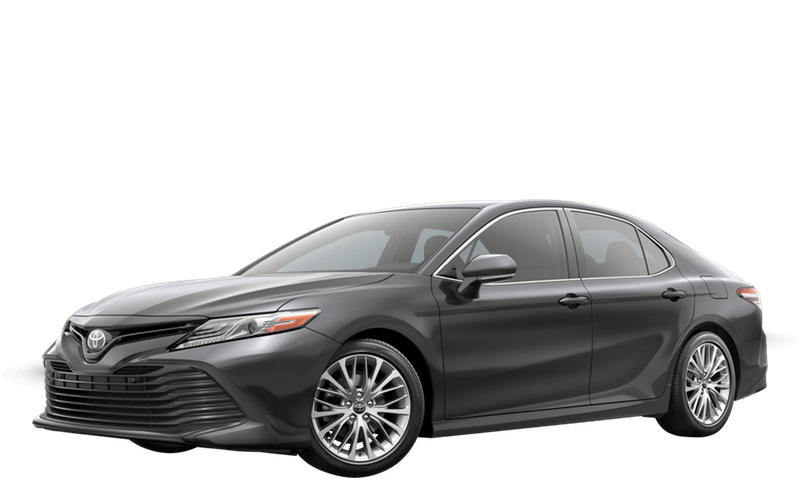 Camry is here. Find yours. *Pricing information for 04/20/2019. 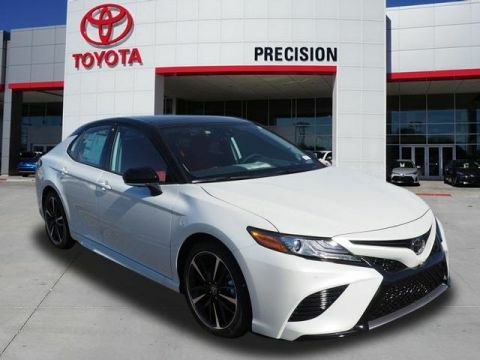 If you are an Arizona resident and intend to register your vehicle in Arizona, 9.10% city / state / county transaction privilege tax on the vehicle’s selling price equals $2,614. *Pricing information for 04/20/2019. If you are an Arizona resident and intend to register your vehicle in Arizona, 9.10% city / state / county transaction privilege tax on the vehicle’s selling price equals $2,870. *Pricing information for 04/20/2019. If you are an Arizona resident and intend to register your vehicle in Arizona, 9.10% city / state / county transaction privilege tax on the vehicle’s selling price equals $2,744. *Pricing information for 04/20/2019. If you are an Arizona resident and intend to register your vehicle in Arizona, 9.10% city / state / county transaction privilege tax on the vehicle’s selling price equals $3,298. *Pricing information for 04/20/2019. 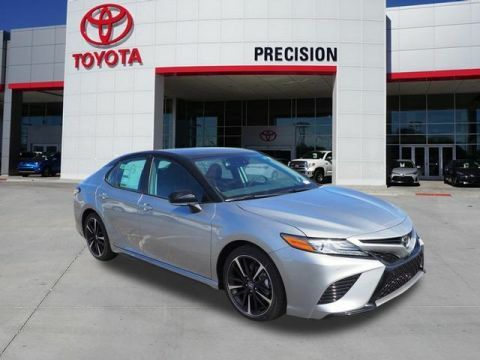 If you are an Arizona resident and intend to register your vehicle in Arizona, 9.10% city / state / county transaction privilege tax on the vehicle’s selling price equals $2,324. *Pricing information for 04/20/2019. If you are an Arizona resident and intend to register your vehicle in Arizona, 9.10% city / state / county transaction privilege tax on the vehicle’s selling price equals $2,458. *Pricing information for 04/20/2019. If you are an Arizona resident and intend to register your vehicle in Arizona, 9.10% city / state / county transaction privilege tax on the vehicle’s selling price equals $2,370. *Pricing information for 04/20/2019. 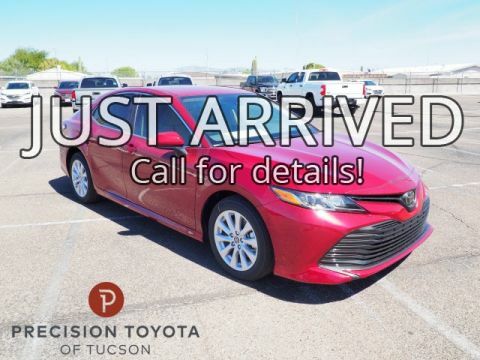 If you are an Arizona resident and intend to register your vehicle in Arizona, 9.10% city / state / county transaction privilege tax on the vehicle’s selling price equals $2,449. *Pricing information for 04/20/2019. If you are an Arizona resident and intend to register your vehicle in Arizona, 9.10% city / state / county transaction privilege tax on the vehicle’s selling price equals $3,257. *Pricing information for 04/20/2019. 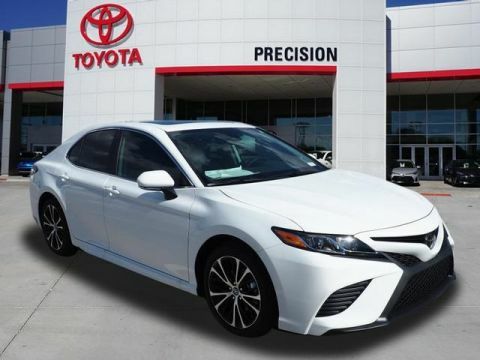 If you are an Arizona resident and intend to register your vehicle in Arizona, 9.10% city / state / county transaction privilege tax on the vehicle’s selling price equals $2,611. *Pricing information for 04/20/2019. 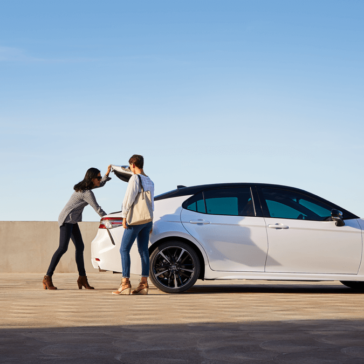 If you are an Arizona resident and intend to register your vehicle in Arizona, 9.10% city / state / county transaction privilege tax on the vehicle’s selling price equals $2,462. *Pricing information for 04/20/2019. If you are an Arizona resident and intend to register your vehicle in Arizona, 9.10% city / state / county transaction privilege tax on the vehicle’s selling price equals $2,202. *Pricing information for 04/20/2019. If you are an Arizona resident and intend to register your vehicle in Arizona, 9.10% city / state / county transaction privilege tax on the vehicle’s selling price equals $3,322. *Pricing information for 04/20/2019. If you are an Arizona resident and intend to register your vehicle in Arizona, 9.10% city / state / county transaction privilege tax on the vehicle’s selling price equals $2,283. *Pricing information for 04/20/2019. If you are an Arizona resident and intend to register your vehicle in Arizona, 9.10% city / state / county transaction privilege tax on the vehicle’s selling price equals $3,253. *Pricing information for 04/20/2019. If you are an Arizona resident and intend to register your vehicle in Arizona, 9.10% city / state / county transaction privilege tax on the vehicle’s selling price equals $2,288. *Pricing information for 04/20/2019. If you are an Arizona resident and intend to register your vehicle in Arizona, 9.10% city / state / county transaction privilege tax on the vehicle’s selling price equals $2,846. *Pricing information for 04/20/2019. If you are an Arizona resident and intend to register your vehicle in Arizona, 9.10% city / state / county transaction privilege tax on the vehicle’s selling price equals $2,344. *Pricing information for 04/20/2019. 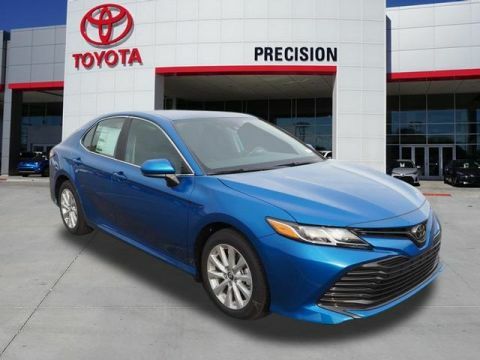 If you are an Arizona resident and intend to register your vehicle in Arizona, 9.10% city / state / county transaction privilege tax on the vehicle’s selling price equals $2,329. *Pricing information for 04/20/2019. If you are an Arizona resident and intend to register your vehicle in Arizona, 9.10% city / state / county transaction privilege tax on the vehicle’s selling price equals $3,334. 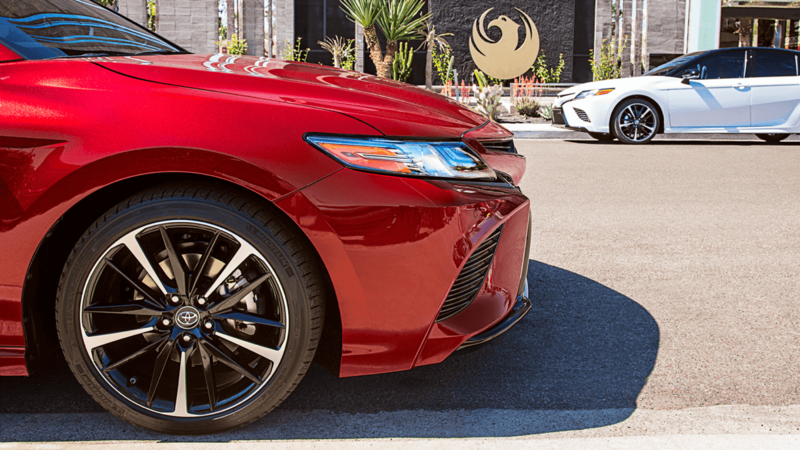 Camry’s powerful shape and captivating style will announce your arrival — with authority. Its muscular shape is defined by a pleasing mix of sweeping curves and chiseled surfaces. On the XSE model, sport side rocker panels and the integrated rear spoiler emphasize the coiled stance and redirect airflow to enhance efficiency and performance. It’s an irresistible symphony of flowing lines and sharp, unconstrained edges that always makes an impact. 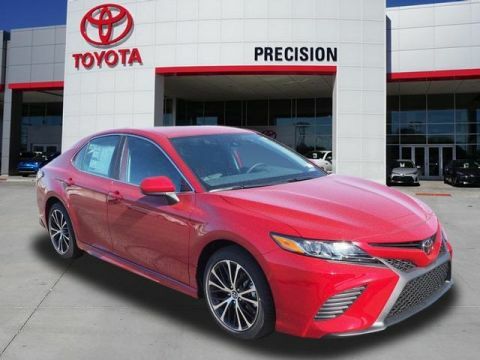 Camry offers a choice of gasoline and hybrid engines. 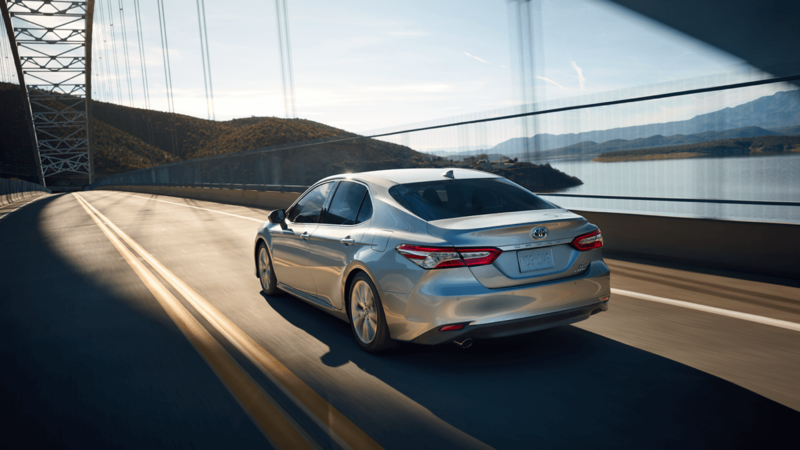 The all-new 2.5-liter Dynamic Force 4-cylinder and a new 3.5-liter V6 each deliver a sophisticated blend of performance and efficiency. 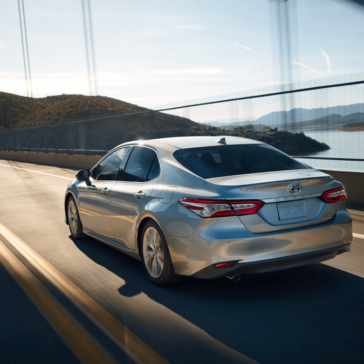 Both engines utilize the D-4S direct-injection system, which selects the optimal injection method based on driving conditions to pack a powerful punch with enhanced fuel efficiency to boot. 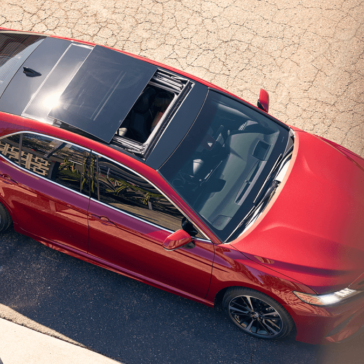 With Camry Hybrid, elevated efficiency arrives with a remarkably stunning drive. 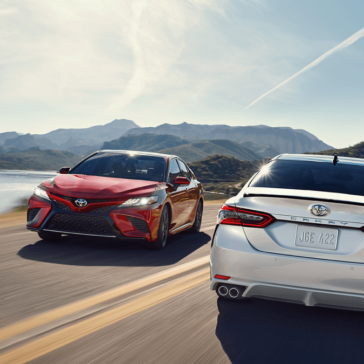 You gain increased power and enhanced fuel efficiency with Camry’s all-new Dynamic Force Engine. 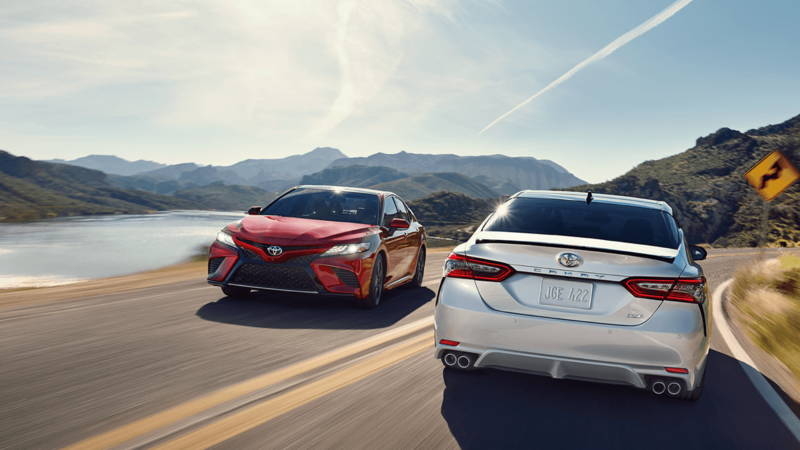 Combined with a proven electric motor and smooth-shifting CVT, Camry Hybrid accelerates more responsively than ever before. 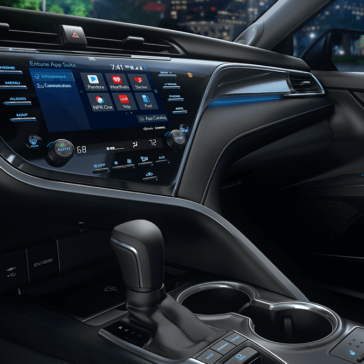 Enjoy a more connected drive. A available 8-in. 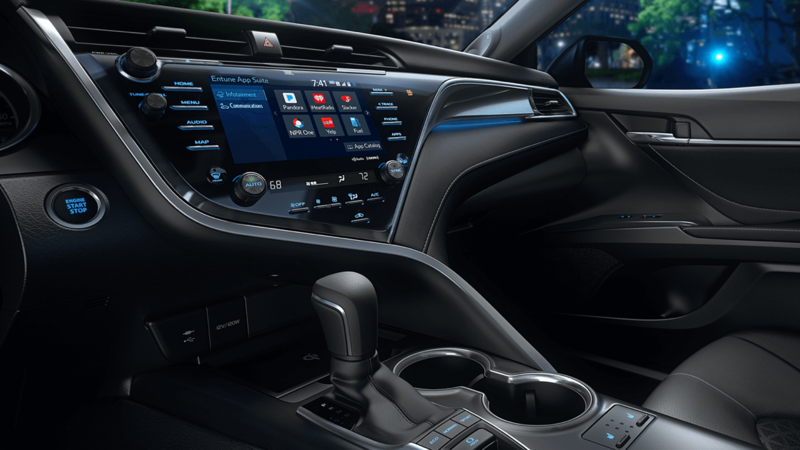 multimedia touch-screen with intuitive pinch-and-zoom navigation controls for a familiar experience. Smart Key System with Push Button Start – no need to reach into your pocket or purse to get going. Optional Bird’s Eye View Camera with Perimeter Scan uses front-, side- and rear-mounted cameras to help you get in and out of the tightest spots with confidence. 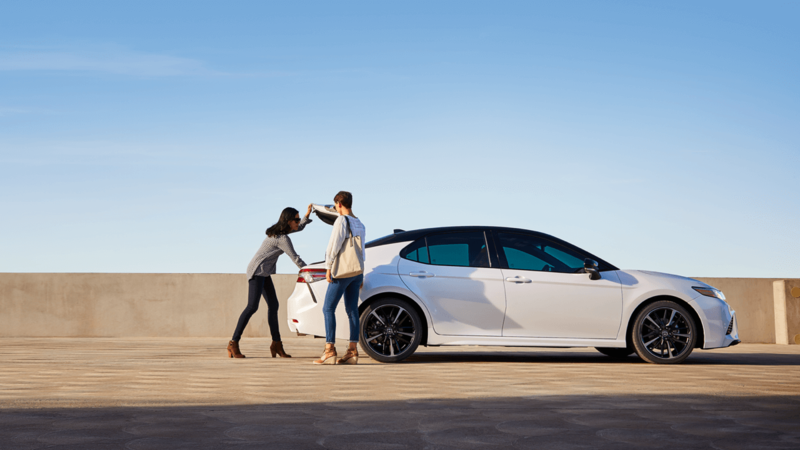 Camry comes standard with Toyota Safety Sense™ (TSS). 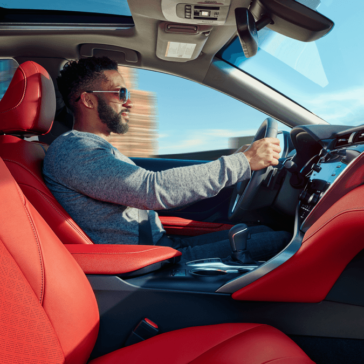 Toyota Safety Sense is a groundbreaking package of automated safety technologies, including active cameras and lasers for outstanding performance and reliability. TSS can help mitigate or prevent collisions at a wide range of vehicle speeds under certain conditions. Beyond TSS, Camry includes 10 airbags, the Star Safety System (with stability control systems like Traction Control and Enhanced Vehicle Stability Control), and an available Blind Spot Monitor with Rear Cross-Traffic Alert. Click the Blue chat icon or message us here. 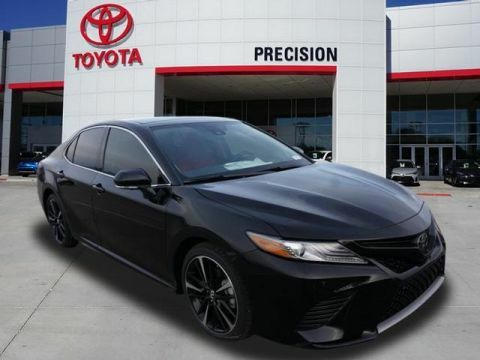 Options and tech specs shown not available on all trim levels. Contact dealer for latest information.